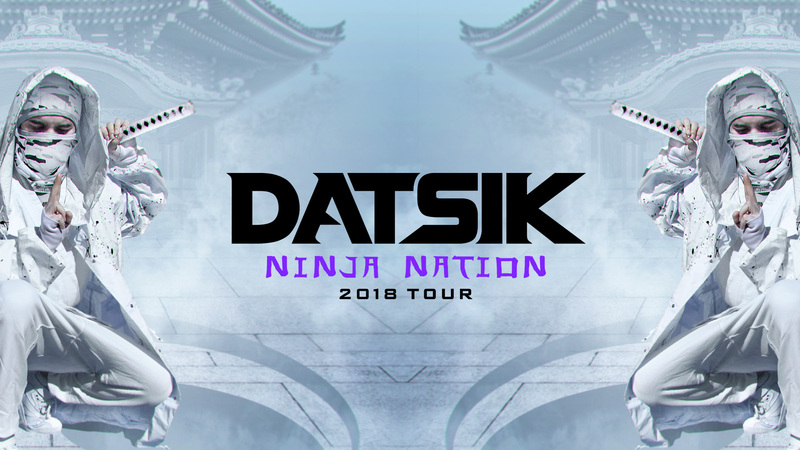 New bass hip-hop producer DATSIK recently kicked off his “Ninja Nation 2017 Tour,” featuring the new Shogun Stage production and armed with shaolin bass from the infamous PK-Sound. 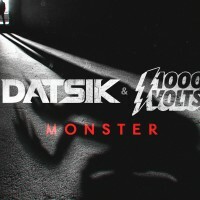 In anticipation for the upcoming Denver tour stop, Saturday, February 4 at the 1st Bank Center, DATSIK has just announced a massive lineup of support acts. 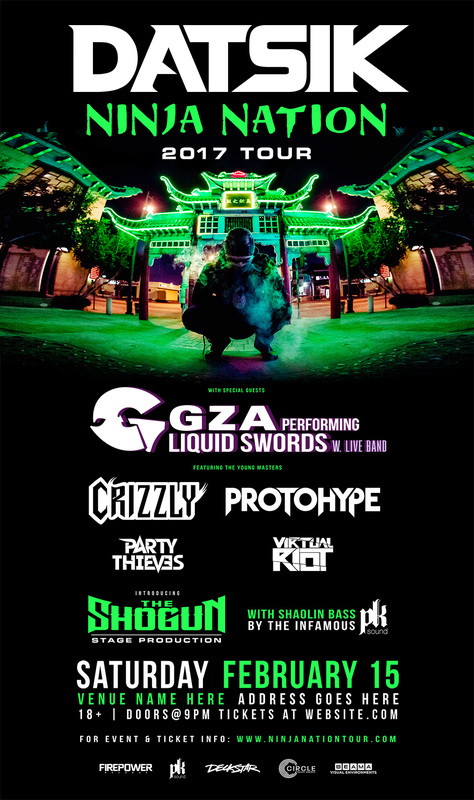 Joining him in the Mile High City will be special guest GZA from the Wu-Tang Clan performing Liquid Swords with a live band as well as the young masters Crizzly, Protohype, Party Thieves and Virtual Riot. Tickets are on sale now at www.ninjanationtour.com. Click here to view a teaser video of the Shogun Stage and click here to read a recent interview with the Detroit Free Press. 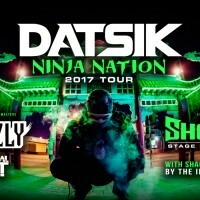 Themed after his obsession with ninja culture previously marked by his 2015 ‘Ninja Nation Tour,’ DATSIK brings with him a new high-tech production to the 2017 edition called “The Shogun.” “The Shogun stage is the next chapter and is an amalgamation of my wildest vision to date,” says DATSIK. 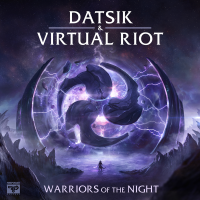 “After touring with the Vortex, I’ve wanted to create something unique that will stand out from the rest, and embody what it is to be a rave ninja. We’ve got a ton of dope surprises waiting for you with this one, so get ready to have some fun! 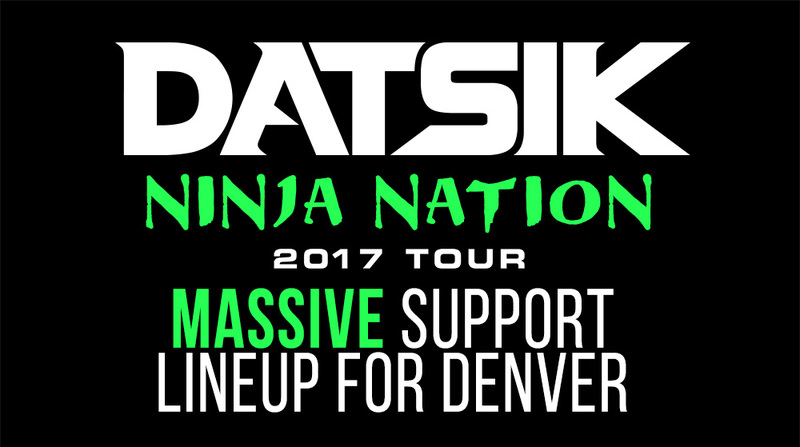 Can’t wait to see you guys on the Ninja Nation 2017 tour!” he adds. 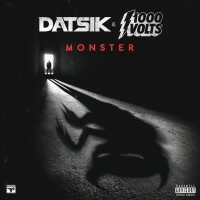 All Content Copyright Datsik © 2014-2015 All Rights Reserved.